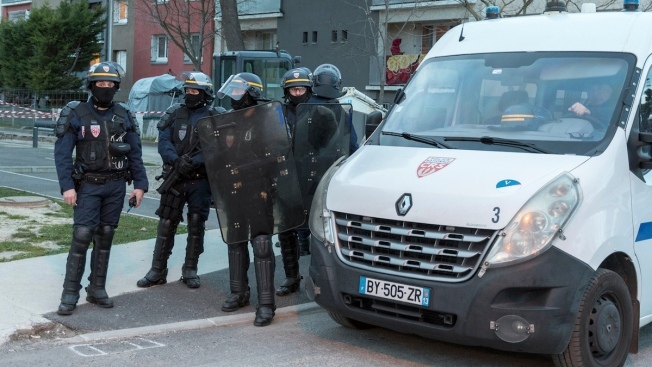 Police cordons off the area of a raid at the suspect's residence involved in a shooting, in Carcassonne, southern France, Friday, March 23, 2018. A gun-wielding extremist unleashed bloodshed in a quiet corner of southern France on Friday, killing three people as he hijacked a car, opened fire on police and took hostages in a supermarket. The ISIS-linked Aamaq news agency said the attacker was responding to the group's calls to target countries in the U.S.-led coalition carrying out airstrikes against ISIS militants in Syria and Iraq since 2014. France has been repeatedly targeted because of its participation.